2010 marks the 25th anniversary of one of the most significant labels in Dance Music history - Trax Records from Chicago - the label behind the birth of Chicago House Music from the mid 1980s onwards. Since the label has never had any significant remix or re-edit projects through the course of its life we thought we’d do one! And who better to oversee the project then the world’s most influential and significant DJ Forum - DJ History. 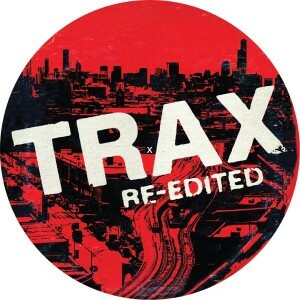 Trax 25 Vs DJ History is a compilation featuring 24 of Trax Records’ most in-demand tracks which have received significant re-edits from the contributors to DJ History including some of the most gifted Re-Edit experts in the world. The final track-listing will be selected by Bill Brewster and Frank Broughton (also co-authors of “Last Night A DJ Saved My Life” and “The Record Players”) and will be released to celebrate the label’s 25 years of influence upon the Dance Music world. The level and quality of the entries has been phenomenal with lots of well-known names from the DJ History forum all taking part including Disco Bloodbath, Greg Wilson, Leo Zero, Neville Watson, Ray Mang and many other names from the mysterious underground of Re-Edit culture. We believe that this is the first time that anyone has attempted such a project via public internet forum and gone forward with a physical release, so we will be really ramping up the PR and Promotion with this release! Following the success of the “Disco Discharge” series, “Philly Re-Grooved - The Tom Moulton Remixes” and the anticipated reaction to the forthcoming “Jumpin’” we will be embarking on a massive PR campaign which will include some mini-documentaries for You Tube, Blogs and Forums plus some national TV appearances from Bill and Frank, together with some of the contributors.